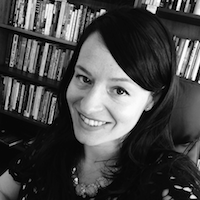 Alice Marwick (PhD, New York University) is a Data & Society advisor, research affiliate with the Media Manipulation project, and Assistant Professor of Communication at the University of North Carolina at Chapel Hill. Her research focuses on far-right media manipulation, online privacy, and internet celebrity. Her current book project examines how the networked nature of online privacy disproportionately impacts marginalized individuals in terms of gender, race, and socio-economic status. She is the author of Status Update: Celebrity, Publicity and Branding in the Social Media Age (Yale 2013), an ethnographic study of the San Francisco tech scene which examines how people seek social status through attention and visibility online. Marwick was previously Assistant Professor of Communication and Media Studies and the Director of the McGannon Center for Communication Research at Fordham University. She has written for popular publications such as The New York Times, The New York Review of Books and The Guardian in addition to academic publications. Are There Limits to Online Free Speech? Is my truth your truth?